de Vries, A.P, & CWI, CWI. (2015). 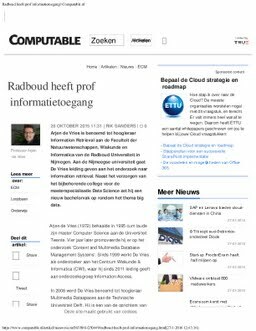 Radboud heeft prof informatietoegang - Computable.nl .